Tyrion came down through western Essos with Varys, to get to Volantis. He was grabbed from the Long Bridge by Jorah. At this point, Jorah had two choices, take the Dragon Road via Mantarys and then the Demon Road through the painted mountains and the ruins of Bhonash, to Meereen. That would pass along the top of Slaver’s Bay. Instead, he decides to take the second choice, ‘acquire’ a boat – and sail through the smoking sea, within the ruins of old Valyria. This is a smoking wasteland of fire and blackened earth, with eruptions still common all around. However, once through the Smoking Sea, it’s a straight run up through Slaver’s Bay to Meereen at the north eastern shore. However, that run passes by every slaver city on the bay. It may not be plain sailing after all. 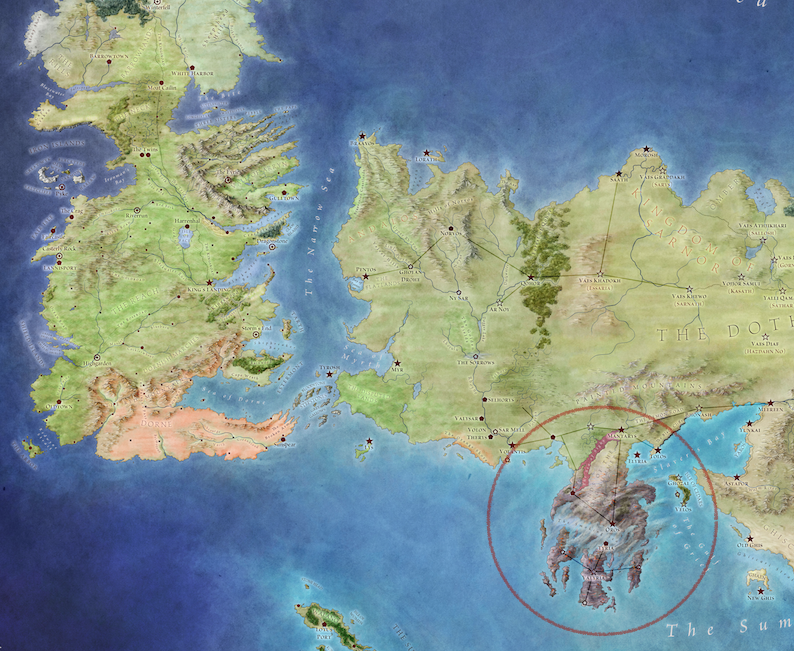 For context, you can see Valyria on the world map – south east of Westeros, and southwest of the Dothraki Sea. 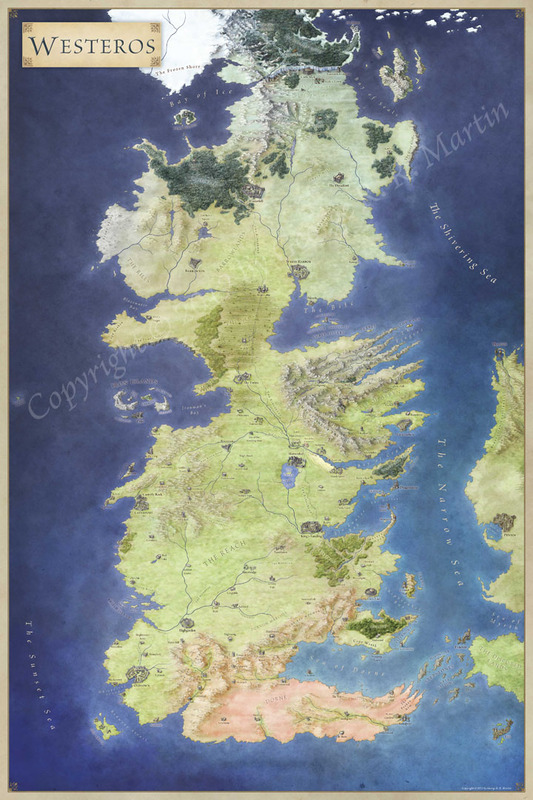 You can also see Slaver’s Bay in context here – the star at the northeast of the bay is Meereen. Those further down are Astapor and Yunkai. Just off the map you can see the tip of the Summer Isles. Jorah is going a long way out of his way to get Tyrion to Meereen. 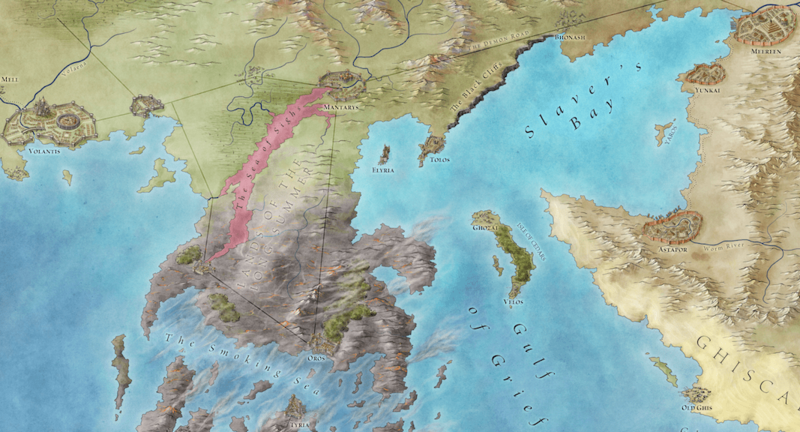 There’s something badly wrong with the Dragon Road across the north of Valyria. Previous Previous post: Where is Braavos?